The Julian Bakery Bread Giveaway is Shanna from Shanna Like Banana. Shanna, please email me your contact information at HealthyCoconutBlog@gmail.com. Thank you to everyone who entered, I will have another giveaway soon! A big thank you to Julian Bakery for letting me host this giveaway. 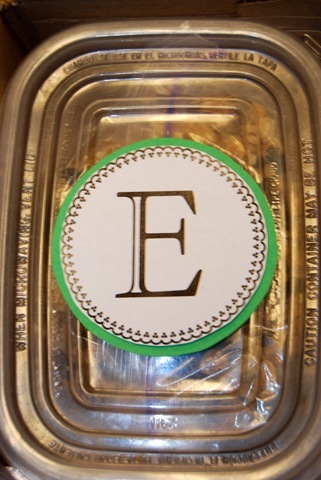 This week, me and another lovely blogger did a granola exchange. I baked another batch of my current favorite Pumpkin Cherry granola. You can find the recipe here. Here’s the package I sent. Here’s a better picture from the last batch. Congrats to the winner and whoooooop! I am so excited 🙂 This exchange was a fantastic idea! Congrats to Shanna! 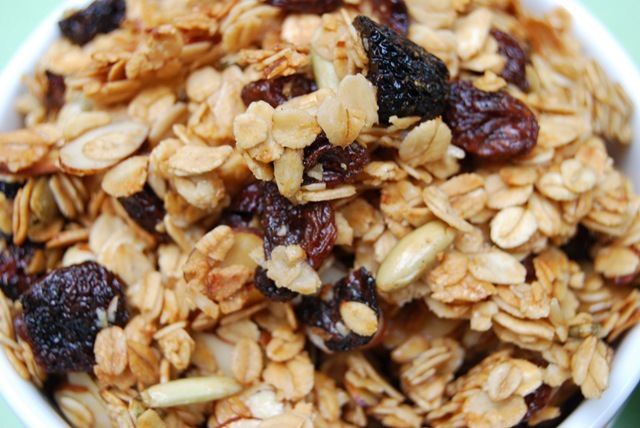 And what a great idea…a granola exchange! I love me some yummy granola! I must make some ASAP. 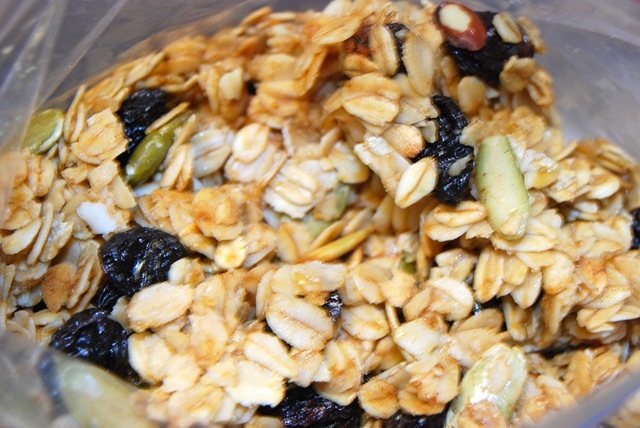 Your granola looks so delicious! pumpkin cherry granola=love. im STILL eating it. Trying to make it last! We have relatives over right now and everytime I make granola, it’s gone in a few days. They love snacking on it. I wanna do an exchange! Homemade granola is so much better than store-bought. What a fun idea to do a little exchange!